A 'Little Ice Age' which caused severe winters 300 years ago could be coming back, according to Solar scientists. For the second time this month, the Sun has been seen in 'cueball' mode, in which no sunspots are observed. 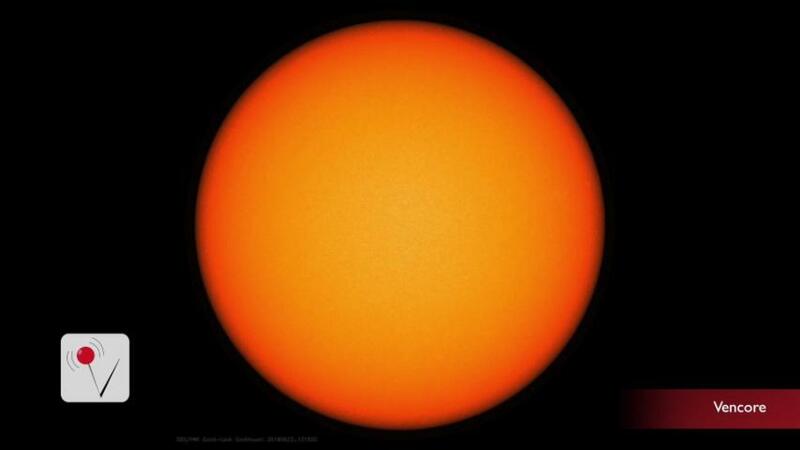 Scientists are saying it's the weakest Solar cycle in more than a century. They predict that the next solar minimum is approaching, and could take place round 2019. If the decrease in solar activity continues, it could result in a period similar to the 'Maunder minimum' of 1645 to 1700. During this time, there were only about 50 sunspots on the surface of the Sun, resulting in very severe winters and cold summers. Several studies suggest the 'Maunder Minimum' coincided with the coldest phase of global cooling, which was called the 'Little Ice Age'. During the resulting cold winters in Europe and North America, rivers such as the Thames and the Danube froze over, allowing skating and Ice Fairs.